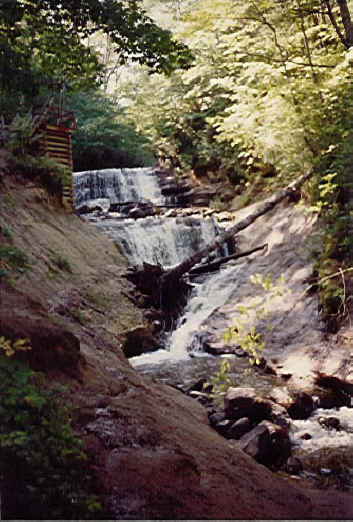 Grand Sable Falls is about 2 miles west of Grand Marais, in the Pictured Rocks National Lakeshore. There are trails all around the woods, and stairs leading down from the parking lot all the way to the level of Lake Superior. This is another place I'll probably never get to again, because the stairs are killers. It was worth it to get this shot, though, taken in June, probably of 1991.